The Java I/O FAQ also deals with socket and network questions. 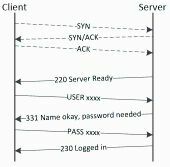 How do I make my networking code connect two pcs via Lan? How to have a Chat feature in java-based application? How to send Datagram packet to another network without port forwarding? Java, Client sending variable trough a thread to a server. Stocks Prices Mobile App - WebSocket or TCP?